A simple and festive spread to add fresh, citrusy flavor to any breakfast or brunch. 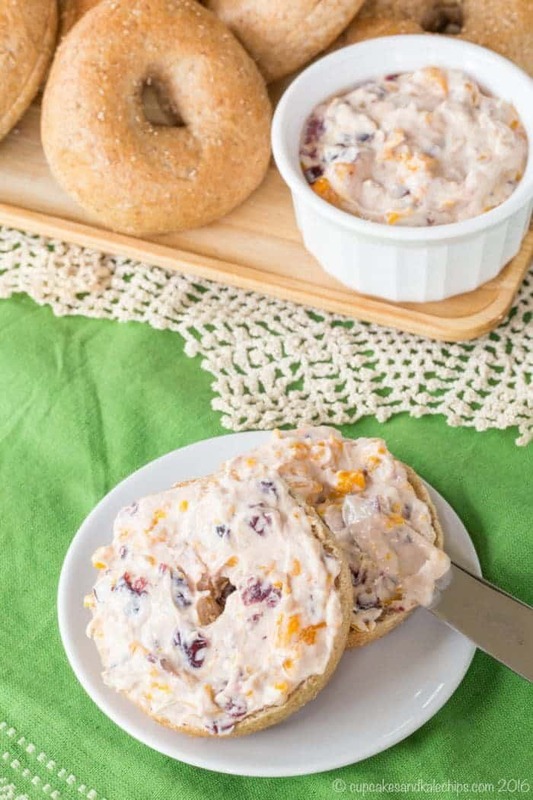 Cranberry Orange Cream Cheese is a festive addition to a holiday brunch or a simple way to make a weekday breakfast or lunch a bit more special. 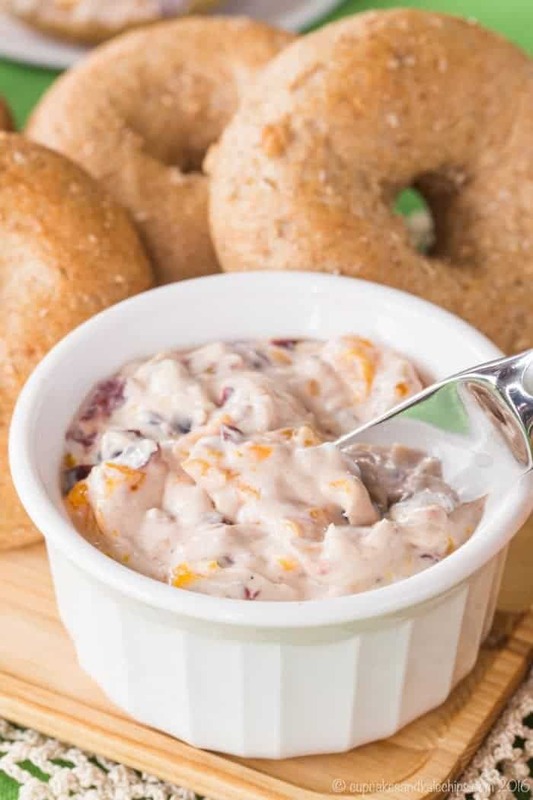 Spread this flavored cream cheese on bagels or toast. You can even use it as an orange cranberry cream cheese dip for apple slices. Everyone will love the sweet and citrusy burst of flavor with just a hint of cinnamon. The area where I live has been documented in various articles and news publications to be one of the most diverse locations in the country. The week before Thanksgiving, my son’s Cub Scouts pack had a Thanksgiving potluck. Sure, there was your typical turkey, ham, and macaroni and cheese. For a healthier, but still fairly standard option, there was a basic tossed salad and fruit. To keep the kids happy some brought things like tater tots, carrots and ranch dip (though I suppose not as healthy as my Greek Yogurt Ranch Dip). And of course for dessert there was a table filled with cookies and brownies. And then there was lumpia, curry chicken, samosas, and lemon rice. Wow, guys, so much delicious food from all around the world that my kids got to try at an age where the most “exotic” thing I ate was lasagna. I try to make or take the kids out for food from different cultures. But to experience it with their friends, and made by their friends’ families is a special thing. It was truly wonderful to come together to celebrate an American holiday with people of all cultures. Just the week before that, his smaller group of Tiger Scouts all had to bring snacks to their den meeting as they work towards their health and nutrition badge. Just like this Carrot Cake Whipped Cream Cheese, Orange Cranberry Cream Cheese is super easy to make. How do you make flavored cream cheese? Start with softened cream cheese by leaving it out at room temperature until it is smooth and easy to stir. With a spoon or spatula, blend in a bit of honey or maple syrup, a sprinkle of cinnamon, and some vanilla and stir until smooth. Then add the cranberries and drained Dole Mandarin Oranges and gently stir them in. These festive flavors are perfect for a Christmas brunch, but they taste delicious any time of year. It’s a little something with just the right about of sweetness and zing. 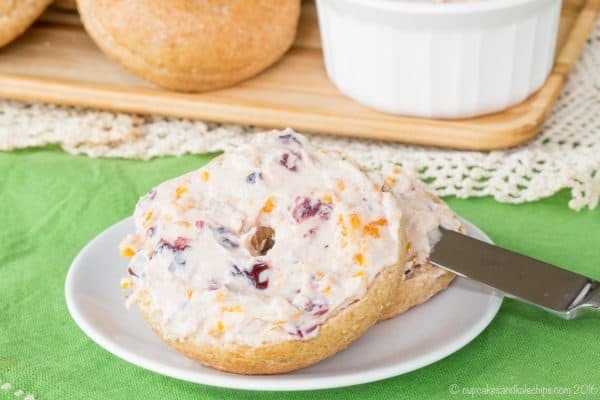 What to do with Cranberry Orange Cream Cheese? Smear it on mini whole wheat bagels or toast for a healthy breakfast or lunch. Use it as a dip for apple or pear slices into as an after school snack. Even stuff into dates on a charcuterie platter at your next party. You can jazz up Pistachio Cream Cheese Stuffed Dates by using this flavored cream cheese instead of plain. 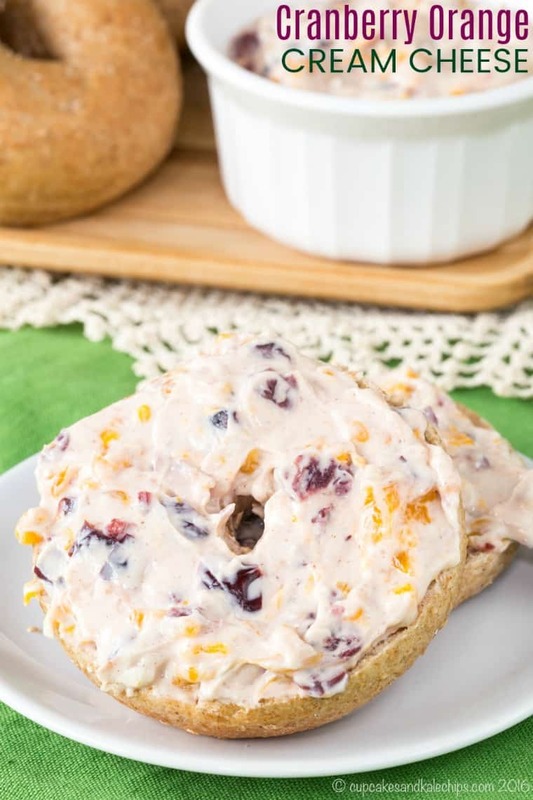 Is Cranberry Orange Cream Cheese gluten free? Yes, all of the ingredients in this flavored cream cheese recipe are gluten free. You just have to be sure you get gluten free bagels, or make my Gluten Free Cinnamon Raisin Bagels. And if you love this combination of flavors, you can also add Gluten Free Cranberry Orange Coffee Cake to your gluten free brunch menu. 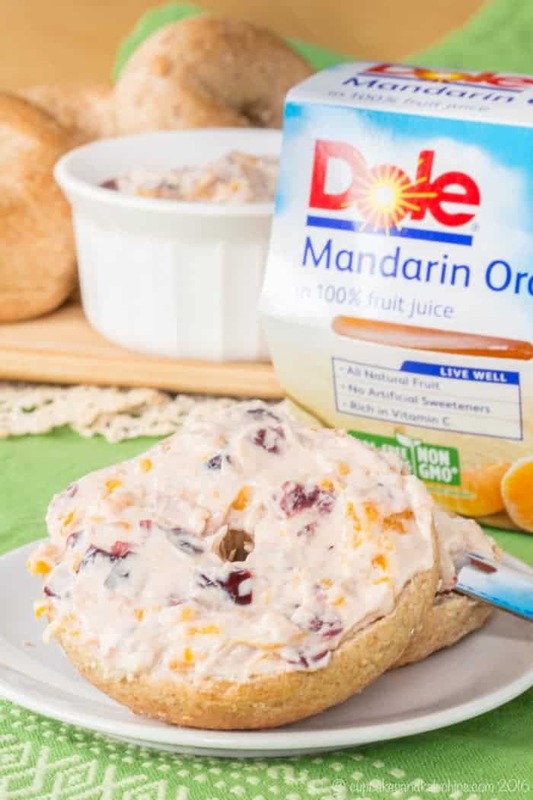 What else can you make with Dole Mandarin Oranges or Pineapple Fruit Cups? 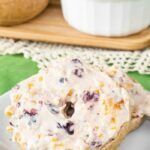 This flavored cream cheese is a simple way to add a little pizzazz to breakfast, brunch, or even the kids’ lunchboxes! All you need to do is stir together a few basic ingredients. This give an extra burst of deliciousness that takes plain cream cheese and makes it a little extra special. In a small bowl, stir together the cream cheese, vanilla, cinnamon, and honey or maple syrup until smooth. Gently stir in the Mandarin Oranges and dried cranberries. The oranges will break up as you stir, which is what you want, though take care not to break them down completely or the cream cheese will be too runny. Place in the refrigerator until well-chilled. Serve with mini bagels, apple slices, toast, graham crackers, etc. Enjoy! Originally published on Dec 6, 2016. This spread looks delicious! Thank you for sharing at Merry Monday! Looks amazing! I’m hungry for bagels now! Awesome way to use #wisconsincranberries with Dole fruit.Yum! 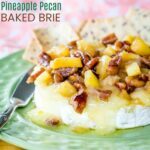 Such a great holiday cream cheese spread! 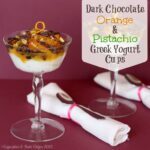 These look so soft and delish! I love cranberry and orange together! I am making this for my kids! What a great looking spread! Yum, this cream cheese would be great on just about anything! Now I’m craving a bagel with this amazing, festive cream cheese spread! YUM! Love making my own cream cheese creations. And love Mandarin oranges. I LOVE cranberries and orange together! Making that combo in cream cheese is SUCH a good idea! Pinned!